It’s happening. Whether you accept it or not, any company that offers food service—restaurants, quick service, colleges and universities, fine fast, C-stores, grocerants, and more—is considering or has added catering, drop off delivery, or meal service options to its menu of offerings. But what is the right way to grow a catering business when all you know is brick and mortar? In conversation with Nicky Kruse, The Culinary Edge, in October 2018, she noted that restaurants interested in adding a profitable catering arm have myriad landmines. “How do you effectively, efficiently, and seamlessly optimize your core menu for catering? How do you navigate and leverage the world of third-party services while staying true to your brand?” What is the right way to gain catering traction—taking into account the target guest—and yet still maintain restaurant quality food when it lands in someone’s home, office, or event venue? Most caterers have the questions about food quality and brand experience answered, and are executing flawless off-premise experiences. But the up-and-comers nipping at heels, eager to gain a piece of the corporate drop off and at-home meal pie, have much to learn. Indeed, most restaurant owners can’t have a conversation about off-premise meal service without the hot topic of execution and delivery logistics landing on the front burner—serious disruptors that impact everything from menus, operations, packaging, and labor, to even restaurant design and location. Additionally, how does one effectively keep restaurant costs separate from catering costs in order to have accurate financial reporting? Caterers are adding meal delivery/pick up as either a daily offering, or for special occasions, such as The Wild Thyme in San Diego and its Thanksgiving 2018 meal package. In a restaurant, a miss on a customer order can be dealt with swiftly, and resolved. An issue with a delivery? Not so much. Will of-the-moment consumers consider a restaurant visit if their drop off order is substandard? What was the ninth largest “restaurant”—to the tune of seven billion dollars, according to Technomic—in the U.S. in 2018? My friends, it was the combination of the third-party delivery services of Uber Eats, GrubHub, DoorDash, and Postmates. Panera’s online ordering hit one billion dollars in 2018 and they expect it to double by 2019. Amazon bought Whole Foods. Olive Garden built an advertising campaign around its catering services. The race for revenue outside the brick and mortar is on, with soft midday kitchen hours for corporate catering a hot prospect. Caterers, in turn, are adding additional services beyond traditional catering, a la Hello Fresh or Blue Apron, even adding cafes and restaurants into their catering operations. How will you find your best year ever in 2019? • Consumers are moving targets, and social influencers are continually shaping their behavior. How do you use social media to promote your business? • Monitor the trends, but don’t be a slave to them. Staying true to your brand is the best defense. • If off-prem catering isn’t for you, despite that it might be profitable, let it go. Learn about one company’s decision to drop its corporate delivery program in the Catersource 2019 session, “Picking Up—or Dropping—Drop off” from the team at Catering by Design. 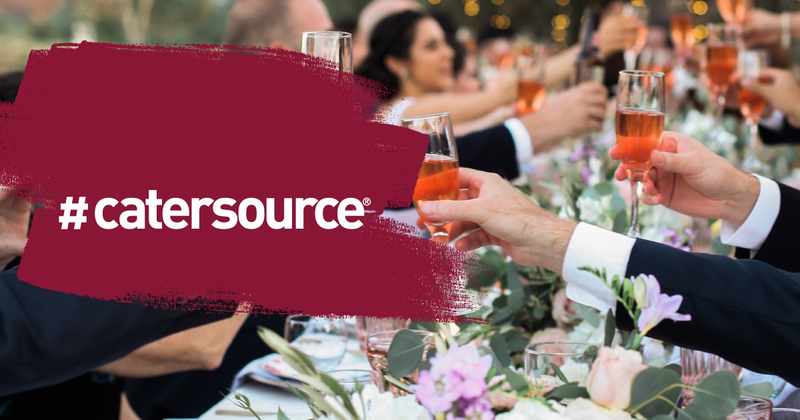 Catersource 2019 is devoting a full complement of educational sessions surrounding corporate catering and drop off delivery strategies. Our track, Corporate Drop Off & Off Prem features educators such as Erle Dardick of The Catering Institute and Monkey Media in a keynote plus deep dive; and breakout sessions presented by David Scott Peters, therestaurantexpert.com; Neil Fuselier, The RK Group, and Tom & Larry Walter of Tasty Catering, to name a few. Sessions begin Sunday morning, February 24 and run through Monday afternoon, February 25.